The new University of Redlands app provides students with access to email, class schedules, and more, all on the go. As students return to campus, a new Android and iPhone app is ready to make retrieving class schedules, email, calendars, and other University of Redlands resources much easier. From calling University shuttles to viewing the Irvine Commons daily menu, the University of Redlands app aggregates the services that students use on a daily basis and makes them accessible through one portal. A collaboration among Information Technology Services (ITS), University Communications, and Student Affairs enables the app to serve as a campus-wide communication vehicle. During the development of the app, the Office of Student Involvement and Success created a research group made up of current students to determine which resources and features were most important to them. 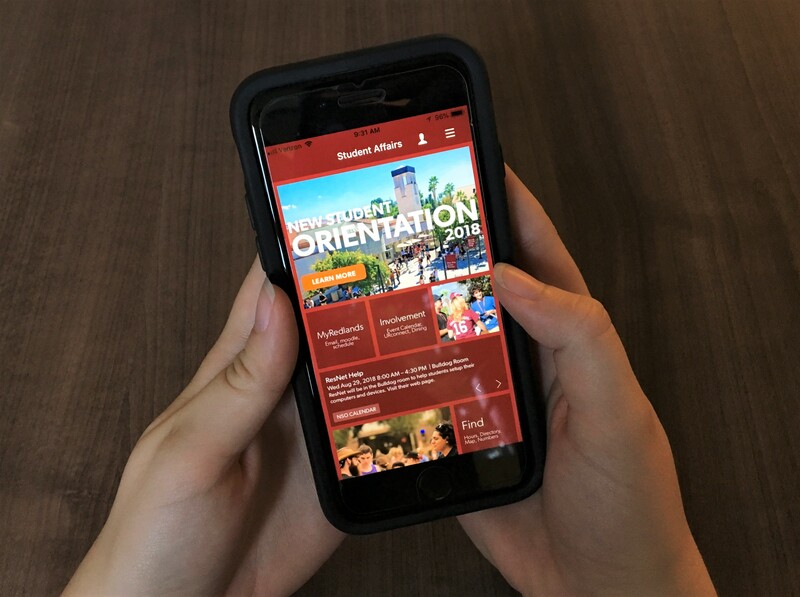 With the app, students can opt-in to push notifications that alert them of campus events, which will increase interest and involvement within student groups and clubs and keep students informed of opportunities. KDAWG, the University radio station, and The Redlands Bulldog student newspaper are accessible through the app. Other features include quick access to campus emergency information and Public Safety phone numbers. Any feedback, questions, or concerns about the app can be emailed to modo@redlands.edu.